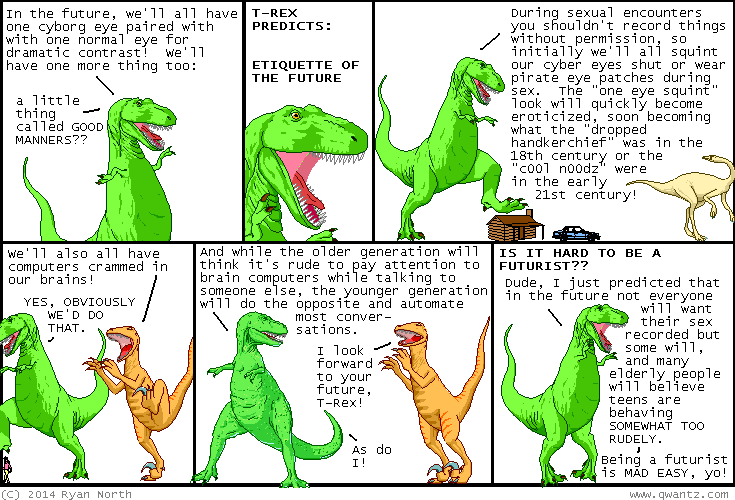 Dinosaur Comics - August 25th, 2014 - awesome fun times! August 25th, 2014: There, now you're prepared for the years to come. Try to act surprised! One year ago today: shouts out to the approximation of me living somewhere, somewhen, who is one inch taller than I am. I respect you, friend.